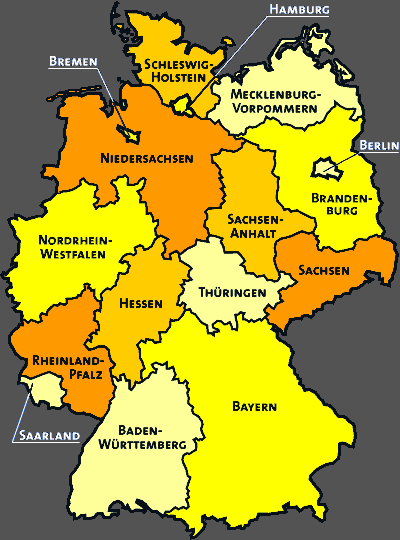 This site provides extensive information on Germany. To get an overview, go straight to the Table of Contents. Among the things you can find here, are descriptions of German traditions and holidays, information on the political life, history and law or the German economy. If you've been here before and want to have a rough idea what's changed recently, have a look at the What's new section. The information presented here has been compiled with the help of many of the readers of soc.culture.german . It is posted monthly to that newsgroup as the FAQ. If you have any comments, either write them on the back of a 100 DM bill and mail it to me, email them to scg at watzmann dot net. Some random notes that haven't made it into the FAQ. 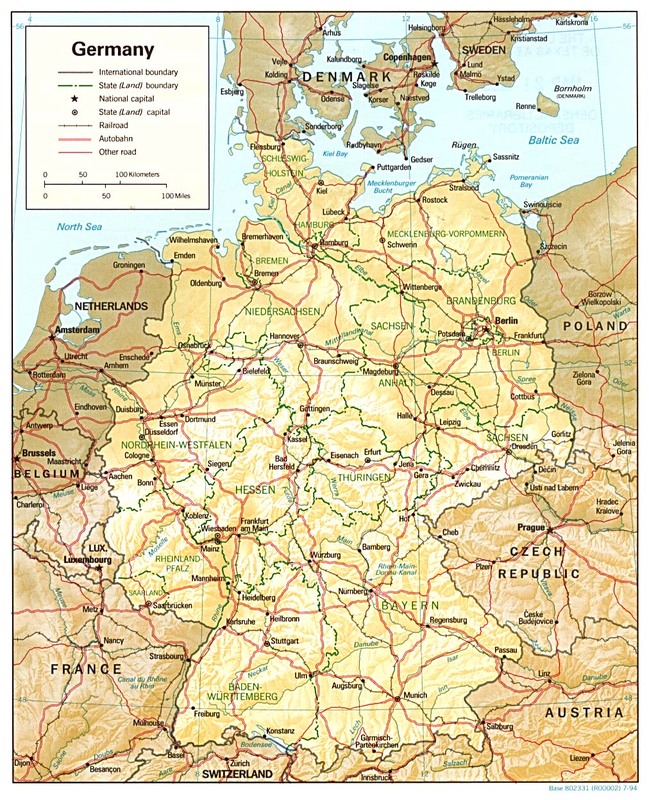 a schematic (25K) that shows the federal states and a more detailed map (390K) showing cities and major streets (the famous Autobahnen). An essay by Dennis Barron on the old story that German almost became the official language of the US and was defeated by one vote. The poem by Hoffmann von Fallersleben whose third stanza is now the text of the German national anthem. I am more than happy to include your essay, notes etc. in this list. Just email them to scg at watzmann dot net.